← Yet more great feedback from another happy customer. Wow, what a great M.E. testimonial we got this week. Well, what a week this has been for feedback from some of our very happy customers, as you can see if you read through our posts. 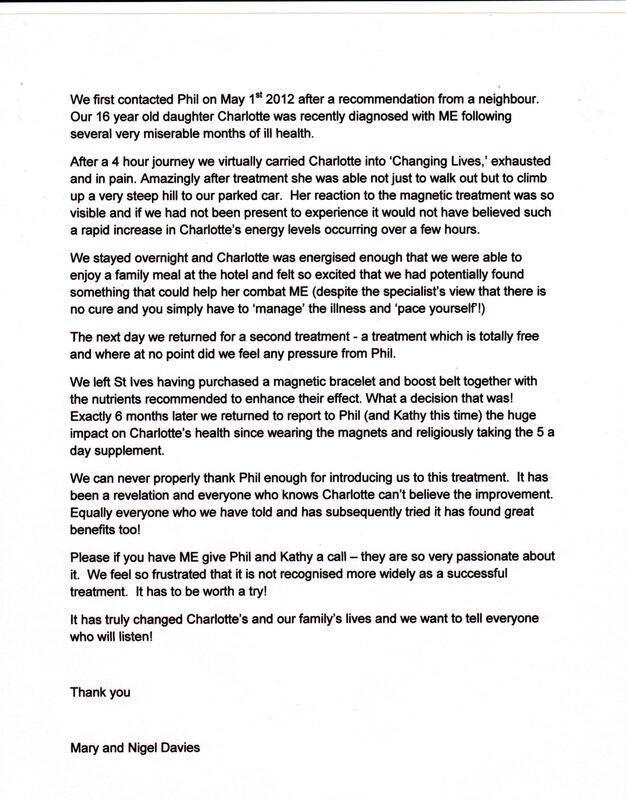 On Wednesday we got an email from the parents of another of our success stories, Charlotte Davies, who was suffering with severe M.E. We have a huge success rate with all forms of energy health issues such as M.E., Fibromyalgia, Chronic Fatigue, Polymyalgia and Lupus. If you search through the testimonials or our comments books on the web site, we are sure that you will be able to see what we mean.